Give your brand great visibility on our campus! Speak with us to know how we can customise your requirement. Which grant request would your organisation be interested in sponsoring? Contact Museum Director Aditi Nayar at +919562522288 to know more. Every Malayalee child should know the history of Kerala! Over the years, Kerala Museum has increased the quantum and quality of our offerings. There is something for for people from all walks of life, from children to grandparents and from locals to tourists to NRI's. Every project and program calls for support from the community we serve. A KM Version 2 is in the pipeline with plans to upgrade our facilities, create welcoming spaces, provide quality programming and increase the reach of our community development projects. As a corporate, you can pick a specific project to sponsor. 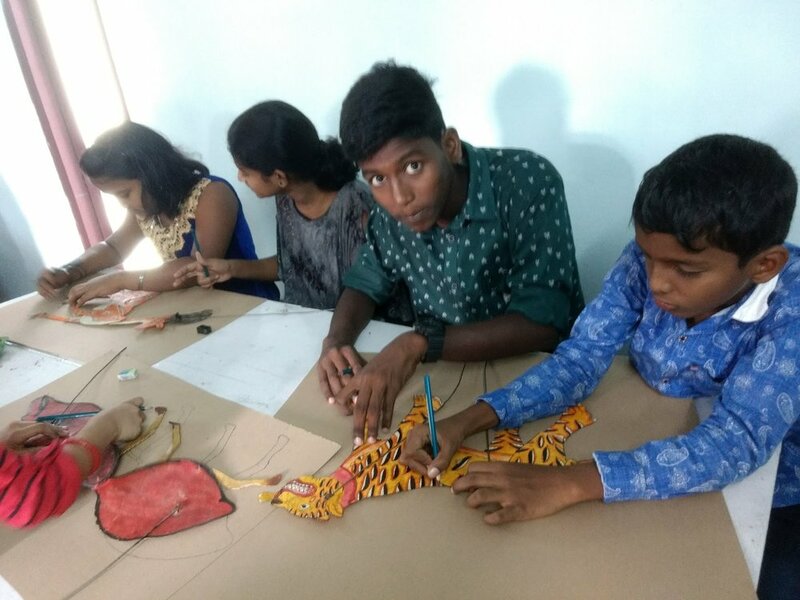 You support could go towards our education programmes or help Kerala grow by supporting our youth employment programme. You could invest in our small infrastructure projects, volunteer your expertise with us, sponsor our Annual Museum Fest and or even our regular monthly programming. We invite you to be a title sponsor of one of our many development initiatives that fall under the CSR categories of Education and Art & Culture. Logo and Branding in all Print and Digital Collateral. Branding and Promotion on Museum grounds. Verbal mentions on all presentation platforms and exclusive speaking spots at our public event. Fitting CSR profile – Education, Art and Culture, Youth employment. The Museum is a not-for-profit entity and can provide Tax benefits under 80 (G). Regular Reporting and Monitoring of projects to be included in the Funder’s newsletter/website/outreach. Our valuable paintings require 24/7 air-conditioning for their preservation. Campus safety is also essential for activities that take place past daylight hours of 5pm. The campus currently runs on a 20 year old manual generator system. This requires manpower and furthermore, is far from efficient. A great attraction that would add to the popularity of the Kerala Museum for children on school visits and families in a 3 km radius. An outdoor gym would enhance our outdoor spaces, giving children opportunity to release energy and enjoy nature. This is a project that proposes to utilise the unused or under-utilised spaces of the Kerala Museum to maximise their programming. Including an AV section, curated content, semi covered outdoor spaces, furniture and worksheets and other material annually. With a large sprawling campus, complete CCTV coverage of our campus is a very urgent requirement that would enable us to provide safe spaces for all. Enhancing campus security personnel is another essential area. With this project, we aim to enhance visitor experience inside the History Museum itself. Currently the content revolves around a time-bound show. The modern museum visitor demands more information delivered in an Audio-Visual format and the option of doing a self-guided tour. This is a list of much required infrastructural improvements on our sprawling 30+ year-old campus. This project consists of several mini projects like an improved disembarkation Point & Ticket Booth, modern security cabin, upgrading drainage and plumbing, adding accessibility & signage, enhancing toilets & adding a parent rooms, modern lighting, improved fencing and compound wall strengthening.